Chitwan National Park, one of the famous parks of Asia and easily accessible from Kathmandu. This National park is situated in the subtropical inner Terai lowland of south-central Nepal. It is about 169 km from Kathmandu. It covers an area of 932 sq km. The park covers a pristine area with a unique ecosystem of significant value to the world. It contains the Churiya hills, ox-bow lakes, Narayani River. Approximately 70% of the park vegetation is sal forest. The grassland 20%, riverine forest 7%, Sal with chirpine 3%, the latter occupying at the top of the Curiya range. The riverine forests consists mainly of Khair, sissoo and simal. The grassland forms a diverse and complex community with over 50 species. The Saccharun species, often called elephant grass, can reach 8 m. in height. The shorter grasses such as Imperata are useful for thatch roofs. There are more than 43 species of mammals in the park. The park is especially renowned for the endangered one horned rhinoceros, the tiger and the gharial crocodile along with many other common species such as gaur, wild elephant, four horned antelope, striped hyena, pangolin, gangetic dolphin, monitor lizard and python. Other animals found in the park include the sambar, chital, hog deer, barking deer, sloth bear, palm civet, langur and rhesus monkey. There are over 450 species of birds in the park. Among the endangered birds are the Bengal florican, giant hornbill, lesser florican, black stork and white stork. Common birds seen in the park include the peafowl, red jungle fowl, and different species of egrets, herons, kingfishers, flycatchers and woodpeckers. The best time for bird watching is March and December. More than 45 species of amphibians and reptiles occur in the park, some of which are the marsh crocodile, cobra, green pit viper and various species of frogs and tortoises. The park is very rich in wild fauna and flora. Due to its easy accessibility from Kathmandu and Pokhara, there are several different kinds of accommodation available inside the National park and outside the National park. Here is basic Jungle safari tour we arrange. This tour can be prolonged depending on your choice and time limit. Activities In Royal Chitwan National Park. Elephant Safari: Elephant is one of the biggest animals. It is totally fearless of any other animals; it is the safest and most convenient way to get around the dense forest to discover the jungle and its wildlife. Elephant rides can bring you very close to wild animals such as tiger, rhino, deer, sloth bear and other wildlife. Jungle Drive: Jeep safari is one the fastest way to discover the wide range of forest area in the National park. Four hours jeep drive will take you about 45 kilometers in the park passing all sorts of vegetation and wild life. As it is goes through the dense forest and covers big area, chances of discovering wildlife are high. Bird Watching: Chitwan National park is the habitat of more than 450 species of birds. It is a paradise of the bird world. The best way of discovering or studying the different birds is to walk with a guide along the riverside of Royal Chitwan National park along the Rapti River. Dugout Canoe Ride: Floating down to Rapti River by dugout canoe is the best way to discover the habitat of crocodiles on the bank of the river. It is also a relaxing and better way to watch the different kind of birds and wildlife species when they come to the bank of the river to drink water. Colorful Tharu Village Visit: Tharu are indigenous people of the Terai. They have a distinct architectural style, building solely of the natural materials found in the area; straw, wood and mud. Even though by now almost all Tharus are Hindus some elements of their tribal religion can still be found. The villages are often peaceful, non-industrial havens, with the inhabitants engaged in a yearly agricultural circle. Nature Walk Or Jungle Walk: Jungle Walk tour allows you to explore several different habitat areas, from the flood-plain grassland to the dense Sal forests, where you get the opportunity good animal sights at your own pace. Since it is disturbs the animals less to walk through the forest, it is usually a better chance for discovering wildlife. When walking through the jungle you will also get a chance to see the different kind of plants and herbs in the National park. The guide can give thorough descriptions of the wildlife and herbs there. Tharu Stick Dance: A melodious tribal dance performed by men and women with rhyme or drums and the clashing of sticks embodies and projects how to keep away the rhino and other wild animals from the human habitat and their farming land. You can enjoy your evening after dinner and watch the Tharu Stick Dance. We will arrange dance for your enjoyment adjacent to our Restaurant. 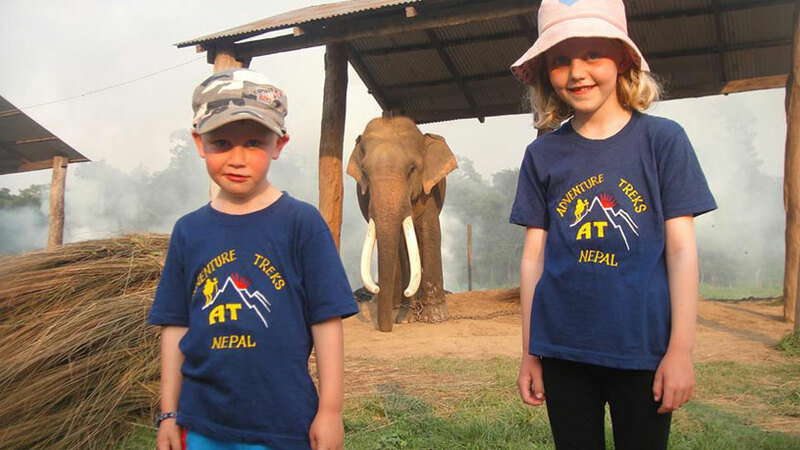 Day 01: Arrival in Chitwan, Transfer to Hotel, Reception, Welcome drinks, Lunch, and Elephant Back Safari, evening walk ,Dinner and Tharu Cultural show. Day 03: Wake up Call, visit bird watching tour, break fast and departure. Day 03: Wake up Call, Break fast, visit with our expert Nature guide to twenty thousands lake, bird watching, lunch, jungle walk, evening tour and dinner. Day 04: Wake up Call, Breakfast, Visit Elephant Breeding Center, Lunch, elephant back safari, evening walk, dinner. Day 05: Wake up Call, visit bird watching tour, break fast and departure. Day 02: Wake up call, breakfast, Canoeing, Jungle walk, Lunch, and again Jungle walk, pony trek to Churiya hill, Inside the park, Dinner. Day 03: Wake up Call, Visit Elephant breeding Center, Lunch and Jungle Drive, evening tour, Dinner, Tharu Cultural Show. Day 06: Wake up Call, visit bird watching tour, break fast and departure.